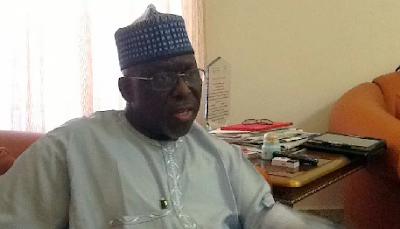 The Independent Corrupt Practices and Other Related Offences Commission (ICPC) says it has arrested and detained four Commissioners in the administration of former Governor of Kogi State, Idris Wada, over alleged fraud. Spokesman of the commission, Rasheedat Okoduwa, disclosed this in a statement on Thursday. Mrs. Okoduwa identified the ex-commissioners as Kayode Olowomoran (Culture and Tourism), Abdulrahman Wuya (Transport); Godwin Onama (Works) and Ali Ajuh (Budget and Planning). She said the suspects’ arrest followed ICPC’s investigations into an alleged misapplication of a N2 billion SME loan they secured from the Central Bank of Nigeria on behalf of the state. According to her, they acted in connivance with the former governor, his Accountant-General, Ibrahim Idakwo, and a former Permanent Secretary in the state Ministry of Commerce, Frank Onoja. “Preliminary investigations by the Commission also revealed that the suspects allegedly partook in the mismanagement of another N8 billion bond that was raised to fund 57 projects across the state. “The large sums of monies released for the projects were allegedly far beyond the levels of work done. “Furthermore, the suspects are alleged to have benefited from illegal deductions to the tune of N1.3 billion made from the funds of 21 local government councils of the state by the same administration,” she said. The ICPC spokesperson said the suspects would remain in custody until they fulfilled the administrative bail conditions granted them by the commission, while investigations continue.